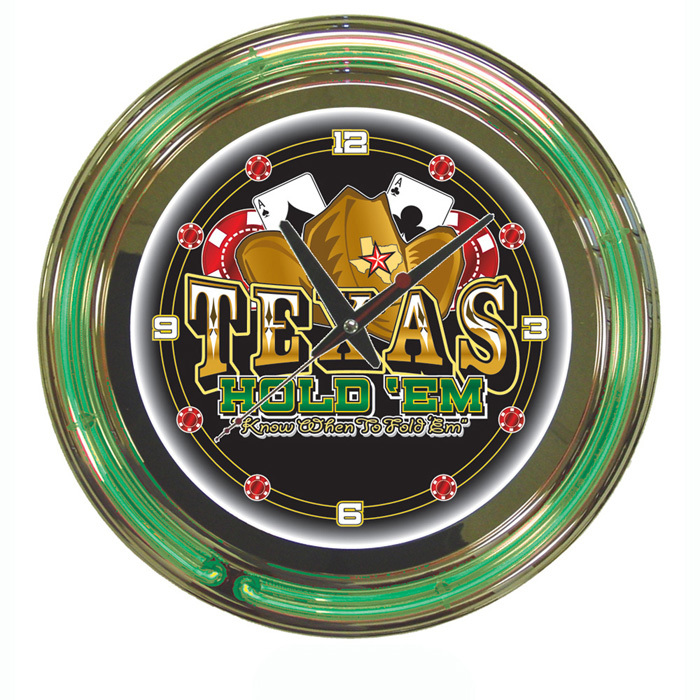 Texas Hold 'em Neon Clock. Great wall display for your game room. Features include: high polished chrome finish molded resin housing. Full color logo on the clock face, double ring of neon (outside ring coordinates with screen printed logo and inside ring illuminates the clock face), battery operated quartz clock mechanism (battery included)110 Volt Power supply for power to the Neon Lights included 14 inches in diameter. Great for gifts and recreation decor.